David Blackbourn, Marpingen: Apparitions of the Virgin Mary in a Nineteenth Century German Village. New York: Alfred A Knopf, 1993. Compared to most people who write about apparitions of the Virgin Mary, David Blackbourn seems remarkably unimpressed by the fact that three little girls claimed to have seen “a white lady” when they were picking berries in the woods one day in 1876. Don’t get me wrong – the excitement around these visions dominates the plot of most of the book, but what stands out is that Blackbourn doesn’t dwell ad nauseum on questions about whether people really do have religious experiences, or what visions say about popular religion in a certain time or place. Instead, this is more a book about a Prussian village in the second half of the nineteenth century and its relationships with clerical and state officials. Quite rightly, Marpingen (1993) has often been compared to other microhistories of religious non-conformity, such as La Roy Ladurie’s Montaillou: The Promised Land of Error (1975) or Carlo Ginzburg’s The Cheese and the Worms: The Cosmos of a Sixteenth Century Miller (1976). These classic studies focused on peasants who lived hundreds of years ago, and while David Blackbourn tells us about people who are much closer to us in time, their world is equally foreign in any number of ways. Blackbourn’s big advantage over Ladurie or Ginzburg is that he does not have to rely on scanty sources, but can reconstruct his story from a variety of perspectives. 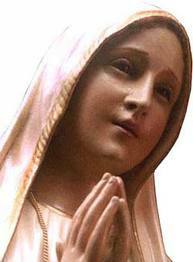 Marian apparitions were far from unknown at the time. They had been reported several months before in Mettenbuch (Bavaria), and a short time earlier in Krüth (Alsace). Thinking just of nineteenth century Europe, Blackbourn comments that “the total number of alleged apparitions ran to many hundreds. 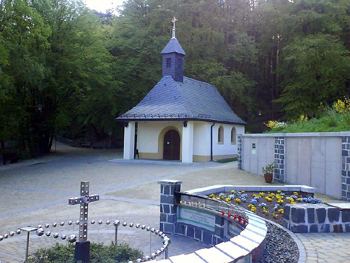 More seem to have been reported in Italy and France than elsewhere, but there were cases right across Europe, from Spain and Normandy to Bohemia and Polish Prussia.” What makes Marpingen particularly interesting is that here the state stepped in and tried to suppress the Catholic revival centered on this village. As officials carried out their investigations, arrested and interrogated half the village, and journalists across the country joked about the credulity of Marpingeners, they produced a wealth of source material for Blackbourn to draw on. 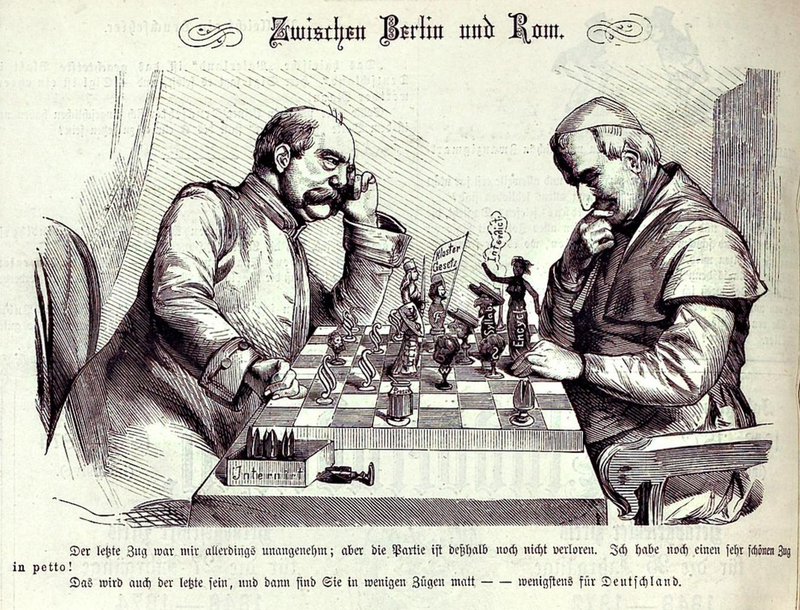 The state crushed the emerging cult at Marpingen so decisively because it erupted right in the middle of Otto von Bismark’s Kulturkampf, a struggle to limit the influence of the Catholic Church in Prussia that took place between 1871 and 1878. Blackbourn places the Kulturkampf front and center in his account because it allows him to describe in detail exactly how this struggle played out in real terms. The officials in his story appear to have been profoundly ambivalent about attacking the Church. Local authorities waited quite a long time before reporting the mass pilgrimages to their superiors, and the village schoolmaster, who should have been the secular voice in the village, publicly endorsed the visionaries (in order to avoid hostility from the rest of the village, Blackbourn assumes). When gendarmes do descend on the village, attacking the crowds and forcing the villagers to feed and house them for weeks on end, the atrocities that took place were the work of incompetent low-level leaders. Although Bismark did not approve of the apparitions, he would probably have preferred to avoid the scandal that the military’s actions generated. What the Kulturkampf narrative misses is that the Roman Catholic Church was equally ambivalent about these visions. Marpingen’s priest dragged his feet and sought advice from his superiors before deciding to endorse the visions as authentic. Other priests were equally skeptical and worried that their flocks were too credulous and superstitious. Indeed, a spate of new visions took place in Germany in the months that followed. Sometimes these involved children taking part in pitched battles against invisible demons or occasional pictures of Mary in a medicine bottle full of water from Marpingen and surrounded by flickering candles. The priests faced a dilemma in that if they approved of the visions they too might look foolish in an increasingly secular Germany, but if they didn’t then they would be rejected by their parishioners.